Should more power be devolved from the UK government to the City of London? Tim Oliver argues a devolved government for London would help to rebalance the UK towards a federal union more than any other constitutional change. He writes that it would give the metropolis the freedom to develop as it needs and be a significant step towards reforming an unsustainable and unhealthily centralised UK and English state. ‘End London rule!’ has been heard many times around the world. It was heard regularly enough from some Scottish nationalists during Scotland’s independence referendum. It is also muttered increasingly around an England (whose population makes up 85 per cent of that of the UK) run from London by one of the most centralised states in the developed world. With London taxpayers the largest net contributors (by a long way) to the rest of the UK, the idea of ending London’s rule – or propping up, as Londoners might see it – of the rest of the UK is a notion we will all hear loudly in May when Londoners elect a new Greater London Assembly and Mayor. Yet the elections in May that will get the most attention will be those in Scotland. The focus on north of the border, and to a lesser extent Wales, Northern Ireland and debates about ‘devo Manc’ for areas such as Manchester, distract from the biggest question facing the UK: how to manage the place in the Union of its giant capital city. 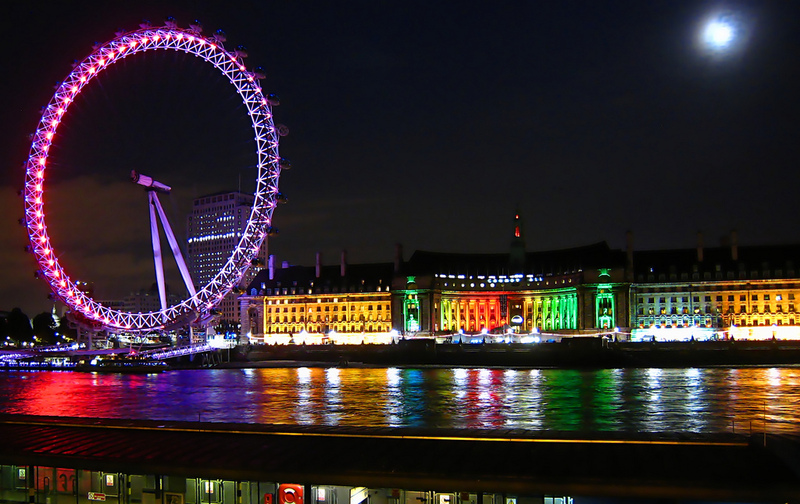 London – or Greater London, as administratively it is known – is no ordinary capital city. No other large developed country has a capital city so large and so at odds with its country, or one growing more different and doing so as fast. When in 2014 former Conservative turned UKIP councillor Suzanne Evans lost her London seat she blamed it – and UKIP’s poor performance in the metropolis – on London’s young, educated, cultured, media-savvy population not understanding the heartache felt by the rest of the country. That might have been picked over for her insinuation that UKIP supporters are old, not educated or cultured and that somehow the ‘media-savvy’ were duped by media. But her warning that London risks becoming detached from the rest of the UK has been taken up many times elsewhere. London has become the universal other of UK politics, a target against which political debates from Cornwall to Caithness can define themselves. With the Union under unprecedented pressure to change to better represent the different parts that make up the UK, we need to find a better ways to manage the relationship between the metropolis and the Union. Recognising London as the distinct part of the Union that it is and granting it a devolved government is a logical step for creating a federal UK, a federal UK government that thinks about the wider Union, and a London that looks after itself. You don’t need to have visited London to know how different it can be to the rest of the UK. Dip into the wealth of books about London and you soon realise how big and different it is. London now boasts its largest ever population which is expected to push through 10 million in the not too distant future. London’s population could then be as large as the 10 million that currently live in Scotland, Wales and Northern Ireland combined (or already dwarfs them if London’s current 14 million metro region population is used). The population growth has been thanks in large part to immigration. London has always had a unique population compared to the rest of England or the UK, with today around a third of Londoners having been born outside the UK. Some projections point to a future where more than half of Londoners will have been born outside Britain. Already ‘White British’ make up only around 45 per cent of the population. In his forthcoming book ‘This is London’ Ben Judah describes the modern metropolis as ‘an immigrant city’. No surprise then that Londoners are a more diverse lot than any other population in the UK. Yet according to the 2010 census they are also the most likely to identify themselves as British. This is in part because ethnic and minority communities, which make up a large part of London’s population, identify themselves as ‘Black British’ or ‘British Asian’. ‘English’ has strong ethnic connotations to it. Londoners are also more intimately connected to the British state that makes their city its central home. After all they share the city with the British monarchy, government, media, and major British cultural institutions. Economically London as 22.9 per cent of the UK economy matters more to the single market and political union that is the United Kingdom than the 20.9 per cent that Germany is to the economy of the European Union. The UK is clearly imbalanced economically towards London and the South East, the net contributions to HM Treasury from those inside the M25 dwarfing those from any other part of the UK. That economic success has come in no small part to being an open, international trading city. Londoners are not known for an isolationist, Eurosceptic or little Englander mentality. They can be the epitome of global Britons. Or at least some of them are. London is home to some of the UK’s worst poverty and inequality. The 2011 riots were centred on London. Londoners can have health problems and ages of death equivalent to either the best in the world such as Japan or the worst such as Guatemala. UKIP might not be the force it is elsewhere in England and Wales, but it gathers votes in areas where a white working class has been left feeling isolated in a city they feel they no longer recognise. Housing shortages (everyone knows never to get a Londoner started on the topic of house or rental prices), a creaking transport system, pollution, security problems ranging from petty crime to terrorism, simmering race relations, exploitation of the large number of new workers and migrants, education and language difficulties, unemployment and homelessness, planning and political representation make for a set of problems that stand apart from the rest of the UK. The rest of the UK can be forgiven for thinking they hear too much about this. With the British media and political elite based in London, the rest of the UK – especially the rest of England – can appear a political wasteland, populated largely by emaciated, unloved and ignored local governments. Londoners have the least reasons to complain about the UK given their ability to affect UK, European or international politics. With UK government and the diplomatic community based there, London is better connected to them than anywhere else in the UK. Prime Ministers veto EU Treaty’s to protect the financial interests of London. The Westminster Parliament has a disproportionate territorial representation within it thanks to the large number of members of the House of Lords who list London as their main address. By way of comparison, if the USA had a capital city that dominated it like London does the UK then it would be a city of 42.8 million people (bigger than any single state) with an economy equal to that of California and Texas combined. Within it you would find the political, diplomatic, cultural, economic, university, IT, media and communication concentrations found in Washington D.C., New York, Los Angeles, Boston, San Francisco and Atlanta. HM Government located in the Whitehall and Westminster districts of London controls the UK to an extent found in few other places in the developed world. Constitutional reform to devolve power has so far not solved the issue. If anything the approach taken has added to confusion that risks unraveling the Union. The situation can only get worse as London continues to grow in size and difference from the rest of the UK. Further reforms all have their problems, whether they are ‘devo max’ to regions such as Scotland, devolution to areas such as Manchester (‘devo Manc’), the creation of an English Parliament, English Votes for English Laws (EVEL), or moving UK government out of London altogether. Devolution to Scotland, Wales and Northern Ireland has been ad hoc, with no real strategy behind it. Proposals such as ‘devo Manc’ don’t add up to much, especially when it comes to financial muscle. Moving government out of London is prohibitively expensive. Create an English Parliament in London and you merely accentuate the centralisation problem. Build it outside London without granting London autonomy from it and the English Parliament risks a fraught relationship with a metropolis that will likely try to ignore it. EVEL has accentuated a sense of separation for Scotland. It also raises the so far unanswered question (lets call it the West Ham question in honour of the similar West Lothian question that relates to Scotland) of whether London MPs should be barred from voting on matters in the rest of England that in London come under the purview of the Greater London Authority and Mayor (a similar ‘Manchester Withington Question’ haunts proposals for ‘devo Manc’). Creating a devolved government for London is both an inevitable step for the UK to become a federal union, and a positive step that separates UK and London government. A Greater London Assembly turned into a London Parliament and a Mayor turned into a First Minister (albeit still perhaps retaining the title of mayor) with accompanying cabinet would see London take control of its own affairs. Londoners would still complain that their taxes are being used to prop up the rest of the UK, but at least that transfer would be clearer and subject to the appropriate scrutiny by the people of London and their representatives. They would also be rightly concerned about the difficult but necessary task of striking a balance between a devolved government and that of the borough councils that for fifty years have done so much to run London. The UK would gain because UK ministers and politicians in Whitehall and Westminster would no longer have to concern themselves with the London matters that can so often draw their attention. Instead they would be confronted with their real job, which is to think about the whole UK. This is not to argue that London should get the ‘devo max’ settlement being pushed for Scotland. The UK is a political union, and UK government should never forget that its primary responsibility is to protect and maintain a commonwealth for the whole Union. A federal union demands federal powers for Westminster and Whitehall. For all the talk of differences, Londoners, Scots and the people of the rest of the UK share many things in common. As things stand, however, the concentration and overlapping of political power in London deprives other areas of the UK of the political, economic, social and constitutional differences they deserve. That is unsustainable. Granted, London would still be the largest, most powerful part of the Union, and UK government would still be located there, subject to the informal contacts that are so difficult to monitor. But London and the UK would at least have taken a big step towards ensuring UK government governs for the whole Union and not just its largest and most powerful part. Note: This article originally appeared at our sister site, Democratic Audit. It gives the views of the author, not the position of EUROPP – European Politics and Policy, nor of the London School of Economics.